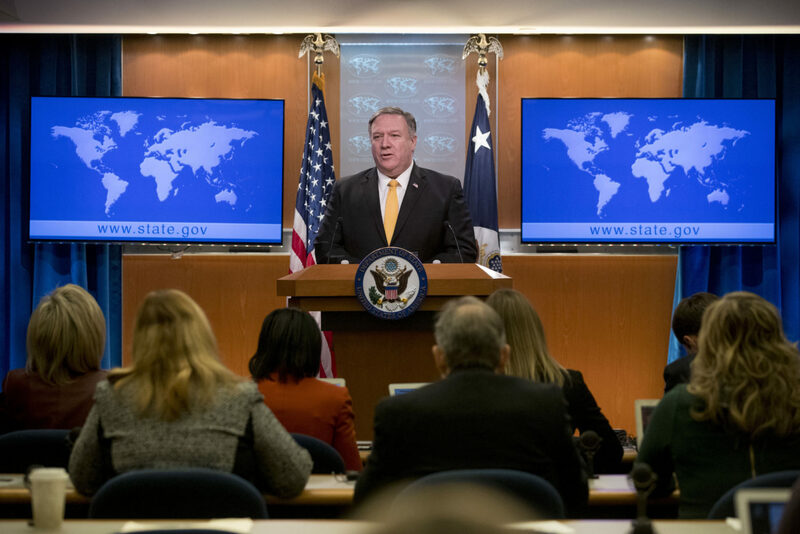 WASHINGTON — The United States announced Friday that it was pulling out of a landmark nuclear arms control treaty with Russia, accusing Moscow of violating the Cold War-era pact with “impunity” by continuing to develop banned missiles. President Donald Trump said Russia has been secretly developing “a prohibited missile system that poses a direct threat to our allies and troops abroad.” He said the U.S. had adhered to the Intermediate-Range Nuclear Forces treaty since it was signed in 1987, but Russia has not. Some analysts worry the demise of the centerpiece of superpower arms control could fuel a new arms race. U.S. officials fear that China, which is not party to the treaty, is gaining a significant military advantage in Asia by deploying large numbers of missiles with ranges beyond the treaty’s limit. Trump said the U.S. will “suspend its obligations” under the treaty on Saturday, meaning it will be freed from its constraints that included the banning of testing and deployment of missiles. At the same time, the U.S. will begin withdrawing from the treaty, which will be effective in six months, he said. “The position of the American side is very tough and like an ultimatum,” he said, according to the Russian state news agency Tass. NATO said that if Moscow failed to destroy all new missile systems that Washington insists violate the treaty, “Russia will bear sole responsibility for the end of the treaty.” Russia denies that it has been in violation. But senior Trump administration officials said they don’t expect any immediate testing or deployment of weapons that are banned under the treaty. Leaving the treaty would allow the Trump administration to counter the Chinese, but it’s unclear how it would do that. “The strategic rationale for leaving the INF seriously involves China,” said Behnam Ben Taleblu, a defense expert at the Foundation for Defense of Democracies, a Washington think tank. Nuclear weapons experts at the Carnegie Endowment for International Peace say U.S. withdrawal under current circumstances would be counterproductive, even though Russia’s violations are a serious problem.